Have you ever jumped in the bog anywhere? Today, we went to Towns End Park for bog walking and jumping. First of all, let me introduce what the wetland is before we talk about bog. 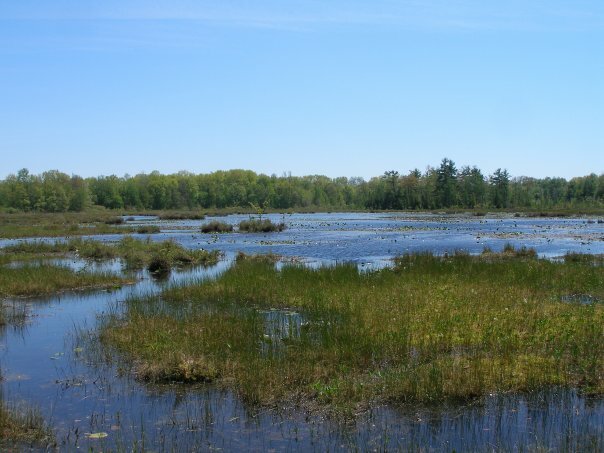 The wetlands by definition is generally area of transition between dry upland and open water or low lying area which collects water drainage or intersects the water table. 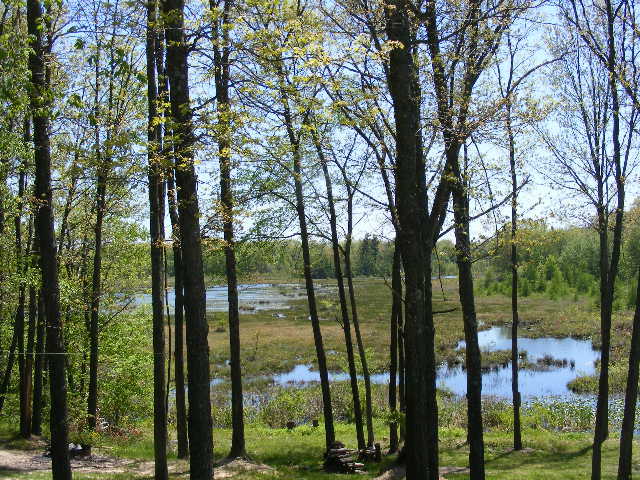 Having said, bog is just another kind of wetlands like meadow and swamp; however, there is one big difference between swamp and bog: bog does not have water inlet and outlet, no trees but meadow and swamp have drainage and surrounded by trees. So, bog fully depends on rain water. And it has low oxygen level, low bacteria level which means slow decomposition rate. The pH is also 4.5. (1) Moat Zone – A channel that usually circles the bog and has solid bottom. It contains water and mud from waist to chest deep. (2) Shrub Zone – contains shrubs like poison sumac, blueberries, button-bush etc. (3) Mat Zone – It is covered by huge waterbed. We can find cranberries, cotton-grass, insect-eating plants like pitcher plant, sundews, and bladder-wort as well as some conifers (evergreen trees) Tamarack, and Black Spruce around Mat Zone. Interestingly, it has false bottom which seems really really deep but it comes up only to ankle when we step on it or jump in. NEED TO BE VERY CAREFUL NOT TO GET HURT. (4) Open-water Zone – Although there is fresh water, it is not a good place to fish. The mat gets thinner and forms islands as we approach this zone. We need to extremely careful in this zone, as we may drown in there. Wetlands have three great ecological values: (a) Control Flood (b) Filter Water and (c) Habitat for many animals. Lets come back to bog walking and jumping. 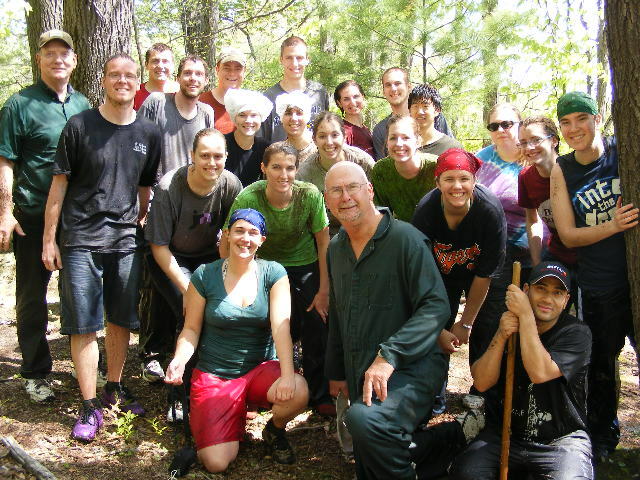 We were divided into two groups and walked into the small bog island starting through Moat Zone. After crossing that zone, we stepped in the Shrub Zone and then Mat Zone where we had so much fun. There we saw too many pitcher plants. Professor Gator showed one pitcher plant which had entrapped an insect inside its flower. Finally, we arrived in the Open-water Zone where we were supposed to jump in bog. Later, he said that it’s optional. However, it’s worth to jump in because we’re going to get extra credit. So, we followed him and jumped into the small pond like area. If we just walked in, it would come up to chest but jumping into bog means drowning completely. And that’s it we did! It was mucky stable and stings something very natural. Later, we jumped in other clean small bogs to clean ourselves. We had mass of decomposed woods and plants all over our body. 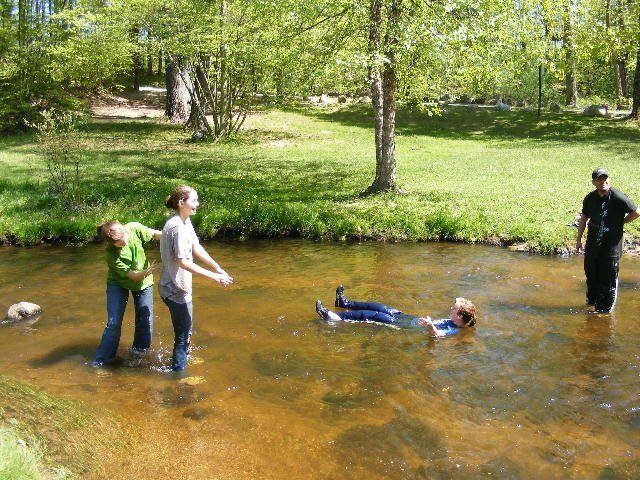 We headed toward the stream and cleaned ourselves again before we left for home. It was quite interesting though.